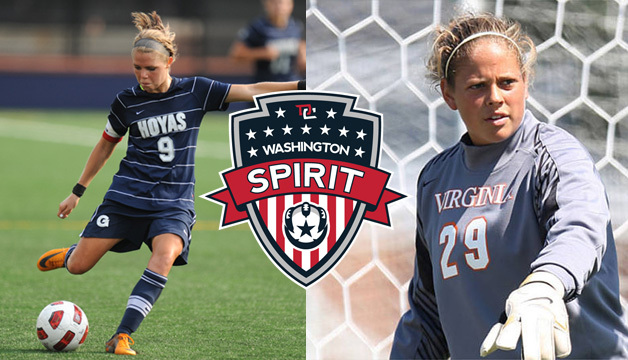 Boyds, MD (February 6, 2013) – The Washington Spirit announced the signing of two U-23 Women’s National Team players – Goalkeeper Chantel Jones and playmaking midfielder Ingrid Wells. Both add to the Spirit’s roster of players in the U.S. national team system as well as players with local ties. The signings will not be official until both players pass the league physical and final paperwork is completed. Chantel Jones had a stellar career at the University of Virginia, where she earned the NCAA career shutout record with 47 total and posted a 0.77 goals against average with 14 shutouts in her 2011 senior year. She has played on the U.S. U-16, U-17, U-20, and U-23 national teams. Ingrid Wells, nicknamed “the Little General,” was a midfielder for Georgetown University Women’s soccer team and was a starter on the 2008 U-20 Women’s World Cup Championship team. In 2012 Wells chose to play overseas with Göteborg FC in Sweden before being drafted ninth overall in the WPS draft, with the WPS subsequently ceasing operations. Wells graduated from Georgetown as a three-time All American and is the school’s all-time leader in points scored (108) and assists (46) and second all-time in goals scored (34). The Washington Spirit expects to add to its talented roster through the supplemental draft that the league will conduct February 7th, which fans can follow on the league Twitter account @NWSL. Opening weekend for the National Women’s Soccer League is set for April 13 and 14. The full 2013 schedule for all teams is expected to be announced in the near future.